The Viognier grape is a type of white grape of unknown origin, but is presumed to have French origin by its use in these lands. Perhaps its most important characteristic is its difficult cultivation, a fact which makes it more valuable and protagonist only of great wines, especially the Condrieu French wine from the Rhone Valley. As we said the Viognier grape is of unknown origin; perhaps the starting point of its history is the Rhone Valley, but it is also said it came from Dalmatia (now Croatia) and was brought to French territory by the Romans, specifically the Emperor Probus (281 AD), who is also credited by bringing the Syrah grape. Nowadays Viognier grape -after having been close to extinction in 1965- has become one of the most precious grapes of the Rhone Valley. We can also find it today in Spain, United States -especially in California-, Australia, Chile and Argentina. 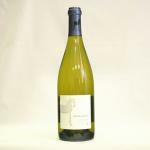 The wines made from Viognier are very fine and select. Their floral and fruity aromas are one of their main features. We emphasize that the elaboration process of this wine is more complicated than a traditional wine, even is often consumed relatively young by fear that with aging comes some problem. Most Viognier wines usually have a maximum of 3 years of aging, although we must remark that we also find wines from this grape with more years of aging, but rarely exceeding 10 years, since after this time, they often lose their characteristic aromas and gain an unflattering acidity. Its unique flavor and aroma make it a highly sought wine by experts. 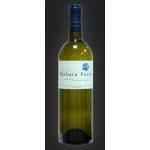 Its value per bottle is usually above other wines of similar elaboration and style. That’s why the Viognier grape is one of the most desirable. Its unique flavor makes it a sophisticated wine, but also when pairing is often combined with sophisticated cuisines such as Thai and Peruvian, both high in spicy flavor which pairs beautifully with. One of the first Viognier from Spain, is a key reference for understanding its development in Spain. The fashionable Viognier. 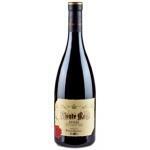 Presented as VT Castilla, is warmer and tasty on the palate, and slightly less aromatic. Reference for the future of Castilla whites. The beginnings of the production of wine in Australia started in Barossa Valley, near Adelaide in the south. European wines suffered greatly during the long journey by boat, so the local production became imperative. In the absence of native vines in Australia, the upper classes of English settlers began making their own wines from imported grapes in the early nineteenth century. From there, the growing areas spread for much of the southwest of the continent, where with the passage of time, a rich and enterprising industry was developed, which thanks to the official support and an impressive marketing strategy has positioned itself rapidly in recent years, with market penetration in over 100 countries and earning fame and prestige worldwide. Tradition, innovative technology and new ideas are factors that define the Australian wine industry. A country that has only 4% of world wine production and still is the fourth largest global exporter, surpassed only by nations of great tradition such as Italy, France and Spain. Particularly the production of shiraz is recognized worldwide. A solid wine with lots of character and high acidity, Shiraz is an ideal accompaniment to game meat or strong taste cheese. 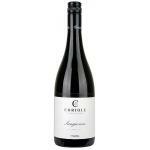 This grape has become emblematic of Australian wine. 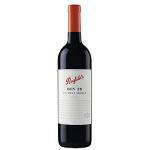 Penfolds is one of the most renowned wineries in Australia, especially for its sweet and shiraz wines. 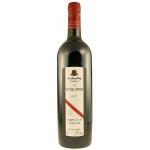 D’Arenberg, one of the 100 most important wineries last year, according to Wine&Spirits. The classic rum cocktail was discovered in 1896 and known worldwide since 1898. This cocktail is called Daiquiri and was created by the American Jennings Cox, who lived in Daiquiri, Cuba. One day he received a visit and when he realized he had no gin -which was what usually mixed with lemon- and had only rum, decided to create a cocktail with some lemons from the garden and some fruits. Later this cocktail was becoming increasingly popular in Cuba, and when the American fleet landed in Cuba, Cox offered this drink made of rum to the admiral, who -delighted- loaded a frigate with Cuban rum and introduced the “Daiquiri” in the Army and Navy Club in Washington. Do you want to join us discovering the fruit cocktails with rum? Pour all ingredients into a shaker with ice, shake well and strain into a tall glass (you can decorate with cherries). Pour all ingredients in a shaker with crushed ice, shake well and strain into a cocktail glass with ice; decorate with a strawberry or some mint leaves and serve. Pour all ingredients into a shaker with ice, shake well and strain over a cocktail glass. Mix the fruit juice with the sugar. When the sugar is dissolved, add the aged rum, then let it marinate for 6 hours before serving and add soda. To serve you must put it in a punch bowl surrounded by ice. Mix all ingredients in a glass vessel and serve. 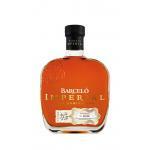 The quintessential golden rum from Dominican Republic. From Trinidad comes this rum, created by Moët Hennessy, for a deeply aromatic rum, ideal for cocktails. Buy wine online is something that still surprises many consumers. Quite a few people I know -wine lovers and regular buyers in wine stores and supermarkets- say they haven’t ever bought wine online. In our everyday work at Uvinum is to disclose our experience and preach about the advantages of the Internet over more traditional channels. Buy wine online is now a reality. In the U.S., it represents already more than 8% of the B2C market, which equates to more than 2,000 million dollars. In Europe, online wine sales are growing year by year more than 10%, even if it is true that in Spain, consumers have failed to see (and companies might not have known how to educate well the user) the advantages and convenience of shopping on the Internet. If I add up all these elements, all of them are clear arguments in favor to buy wine on the net. Internet offers all the options discussed here, but unfortunately buying wine online is not a massive reality in Spain today. What are we waiting for this to happen? If the travel industry, Internet represents already more than 25% of sales, given the clear benefits which this entails (over a traditional travel agency), how could it not be the same with wine? In addition, there are several online stores in Spain doing a fantastic job, such as Drink Supermarket, Slurp, Exel wines, Swig, Naked wines, BBR, Majestic wines, Laithwaites, etc. and other overseas such as Wine.com, Chateauonline, 1855.com… All of them have proven over time its quality as a service and its advantage as a sales channel. And it is true, on the net wine can not be tasted. But, can you do this in a supermarket or in most of wine stores? At the end, each sales area has its advantages, as can have it specialty shops, wine stores, supermarkets, etc. The only important thing is to spread the wine culture and the responsible consumption to share with your family or friends. The history of Mexican beer, created before the arrival of European conquerors to Aztec lands, is very interesting. 20 years after the fall of Tenochtitlan, in the Viceroyalty of New Spain was founded the first brewery of the Americas. In pre-Columbian Mexico there was a variety of corn beer called tesguino, a drink used to communicate with the gods. Mexican beers are distinguished internationally for its flavor and are produced by two giants of beer: Cuauhtemoc Moctezuma and Cerveceria Modelo. 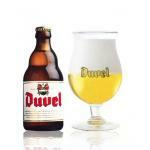 These brewer groups are part of the Dutch company Heineken and the Belgian InBev. 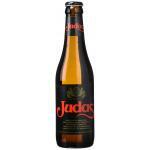 Dark beer: made to a higher temperature than ale with malt and roasted barley. Campechana beer: The beer resulting from the mixture of differently toasted barleys, with an intermediate color between the light and the dark beer. Lager beer: aged with hop and cold drawn. Cuvées: made in certain seasons of the year such as Christmas. Mexican consumption habits include salt and lemon to accompany a good beer, and drink it as Michelada. This a mixture of beer, lemon juice, salt and a mixture of sauces; a drink for hot days and excellent remedy for hangovers. Cuban: includes Worcestershire sauce, Tabasco and the glass is frosted with salt and Piquin pepper powder. Another version is made with tropical fruits such as tamarind and mango. Chelada: A mixture of beer (ale or lager), lemon juice and salt. Russian: Prepared with orange soda, lemon and salt. Also called ?Rubia Corona? 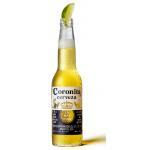 or “Corona? 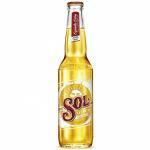 is the most universal Mexican beer. The preferred blonde to prepare a good Michelada. The most emblematic and known French spirits include armagnac and cognac, being the armagnac the oldest wine spirit in France. Armagnac products are governed by continuous distillation combined with distillation in alembic. The lower toxicity of this type of liquor has led to greater consumption in France in relation to cognac. Cognac is produced through distillation in alembic exclusively, in which the distillate is removed from the beginning and end of the distillation process. The above procedure ensured a spirit of less toxicity than the known so far, but after the invention of continuous distillation, many other wine spirits exceeded it. For the preparation of cognac is given great importance to aging, because this improves the flavor and helps removing the methanol. Abricot or Abricotine: liquor distilled from apricots, produced in France and Switzerland. Verveine du Velay: French liquor made from 1859 with spirits distilled from wine and 33 different plants among which is the essence of vervain. It may be yellow or green. Trappistine: French liquor made with Armagnac and various herbs, created by monks of the Abbey de la Gràce de Dieu de Doubs. Suze: French aperitif made from gentian roots. Secrestat: French type bitter made with bitter and aromatic plants and bark. Sapindor: French liquor produced in Pontarlier since 1825, based on different green clored plants. Saint Raphael: French aperitif similar to vermouth and flavored with cocoa, bark, orange and vanilla. Quinquina: French aperitif made from mistelle and bark flavored wines. Pousse Rapiere: Liquor made from Armagnac, sugar, plants and caramel. Pineau Des Charentes: Aperitif produced in the Charente region, based on grape juice and Cognac. It can be white, rosé or aged. Pernod: aniseed liquor produced in Paris, based on anethole, neutral alcohol, water, sugar and aromatic essences obtained by distillation from different plants. Serve mixed with water. Peche: spirit prepared by distillation of peaches. It is also produced as a liquor. Pastis: aniseed aperitif typical of Marseille, prepared by maceration of anise and licorice in alcohol. Served mixing 1 part for 5 water. Parfait Amour: sweet liquor produced by distillation of lemons, limes and girofle macerated in alcohol, sweetened, scented and colored with violet essence. 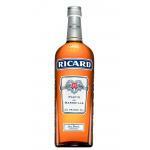 Ricard is a classic among French distillates, and one of the pillars of the success of Pernod-Ricard Group. 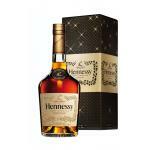 Hennessy, one of the most famous and stylish cognacs of France. The agave is a plant of the Amaryllidaceae family that can be found in various areas, with species actually originate in the desert zones of America, particularly widespread in Mexico. That is why we all know it as the plant from which tequila is obtained, although it has many uses. It is noteworthy that the agave blooms once in life and when it is ripe it dies. Formerly, the indigenous culture related it to the gods and was seen as a sacred and miraculous plant. It presents various types, but the best known is the American agave, with green and dark gray plants which grows fairly quickly. It is the most popular and widespread, and grows in dry and hot areas. Within the American type there are also varieties that are distinguished by their colors and different shapes in its leaves. Agave victoriae reginae is smaller, but with long leaves and stems ranging from 2 to 4 meters high. They are typical from desert areas of Mexico. Finally, agave stricta presents leaves up to 40 cm and much thinner than the other species. Various uses of ?The tequila plant? This plant is very helpful, offering a variety of uses, from making clothes thanks to its fibers, to ropes, shoes, thread, paper, nails… but its best known use is the production of various spirits, such as mezcal and tequila. 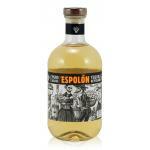 Tequila, produced mainly in Mexico, must have more than 50% of distillate from Weber agave, blue variety only. Meanwhile, for mezcal we can use agave angustifolia and also up to eight different species of agave. But they are not the only drinks we get from this famous plant. It can also produce pulque, lower in alcohol than the previous two. 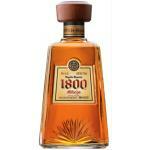 One of the favorite tequilas by tequila connoisseurs. By Jose Cuervo, the more exclusive tequila. Paprika, pimenton or sweet chili is a condiment powder red-colored and sweet flavor, obtained from the drying and subsequent grinding of different varieties of red pepper. The red paprika is one of the fundamental ingredients of gourmet food in Spain, used in dishes such as Rioja style potatoes, Galician style octopus and chorizo, but is also used in other cuisines such as Hungarian. Some of the major paprika exporting countries are India and China, who distribute it worldwide. The Spaniards used to call pepper all hot spices. Then, to distinguish the capsicum or chili from the black pepper, decided to call the first chili pepper; from that, Linnaeus gave these plants the generic name of Capsicum, which includes various kinds of chili used both as vegetables and spices for seasoning in dishes. The Europeans were discovering progressively larger varieties of chilies in different shapes, sizes and colors, some with a strong flavor and some sweeter. The sweeter species of peppers were first cultivated in Spain and are mentioned in botanical treatises from the seventeenth century. Mexican chili seeds arrived to the east, where the most spicy varieties were preferred. Indonesian diplomats who arrived to Mexico exceeded in tolerance for stronger chilies the local people. Sweet paprika: characterized by the absence of pungency. Cayenne pepper: It can be spicy in a greater or lesser degree. Bittersweet Paprika: Obtained from a specific variety of peppers called Jariza. Paprika properties may vary based on the raw material used in its manufacture, for example for sausage making is ideal which the paprika also have preservative qualities. Made in Hungary by the name of paprika, is used abundantly in the dishes of this region of the world, being one of the typical ingredients of Hungarian cuisine and part of the national dish: the goulash, made with various peppers from the region. This ingredient was added to the Spanish culinary history in the sixteenth century, annotated in his diary by Columbus in 1493, warning the presence of a new spice called aji by the Indians, named pimenton after the black pepper by the Spaniards, becoming then a staple. The two best known varieties of paprika in Spain are the pimenton de la Vera and pimenton from Murcia. Strong, only for dared people! One of the most important wine regions of Australia is McLaren Vale, located near the city of Adelaide. It was founded in the mid-nineteenth century when two English farmers emigrated from Devon, William Colton and Charles Thomas Hewett. They built their farms in this area and initially dealt in grain activities, and later planting grapes in 1850 to pursue winemaking. At McLaren Vale there are 88 wineries dedicated to the production of wine, the most of them small family businesses and boutique wineries. This area has a Mediterranean climate and four very different seasons. The major variety of wine produced is Shiraz, the most popular grape in the area that makes up 50% of local production, in addition to Cabernet Sauvignon (1288 hectares planted), Grenache, Chardonnay (722 hectares planted), Sauvignon Blanc, Petit Verdot, Tempranillo, Verdelho and Sangiovese. McLaren wines are distinguished by their degree of maturity, structure and power, the thin soils of the area, limited water and warm summers allow harness the force of Shiraz and produce fruit with intense flavors. This purple-colored wine can last bottled for decades. Shiraz: it is harvested from late February to early April and shows characters of berries and spices with dark chocolate and licorice. Shiraz McLaren is famous for its softness by touching the palate, it is produced naturally and has small berries with high concentrations of pulp. Cabernet Sauvignon: Harvested in late March, it is less famous in McLaren but delicious. This wine shows the characteristic maturity degree of the area. Plum, mint and licorice flavors that blend with dark chocolate flavor in this wine. Grenache (Garnacha): harvested in April. McLaren soils are well suited to this type of wine, but in wet years can be difficult to grow successfully, producing large bunches of grapes that result in a less concentrated flavor. Chardonnay: Harvested in March, it is the major white variety of McLaren Vale, distinguished by the feature of ripe peaches in their development; it maintains elegance and some also can feature ripe melon, banana, nuts or fig. Sauvignon Blanc: Harvested in early March, it features characters of tropical fruits, green olives and asparagus, have relatively high sugar levels, compared to other wine regions growing this variety. Petit Verdot: wine grapes produced with the same intensity of color and flavor of Shiraz but with the added fragrance of violets, giving it a very special aroma. Sangiovese: harvested in McLaren Vale in late March and early April. Tempranillo: a Spanish variety that produces a red wine which matures quickly. Verdelho: a Portuguese white wine variety. 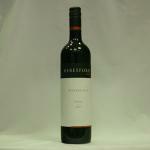 From the most important grape in Australia, this Beresford will show you the best combination of fruits and wood. Of Italian origin, the Sangiovese grape is also ideally grown in Australia. The benefits of wine for the health are already proven for some time, so that doctors typically include a moderate intake of wine in a balanced diet. However, the extent to which elements of wine can help maintain health is something that is still under investigation. There are many different elements that compose the wine, and not all have been investigated in depth yet. In fact, this past week a scientific study of the Center for Biomedical Network Research-Pathophysiology of Obesity and Nutrition (Cibreobn), protected by the Health Institute Carlos III, concluded that the beneficial effects of wine in reducing blood pressure and arterial and cell inflammation, are not only caused by the ?famous? red wine polyphenols but also by ethanol, the alcohol contained in wine. The study was conducted in order to understand the so-called ?French paradox?. The French, despite having a diet with more saturated fat, have lower incidence of heart and circulatory conditions, contrary to what should be normal. One of the discussed hypothesis was that a higher consumption of wine (and therefore of the polyphenols contained therein), balanced the situation and reduced the risk. To the surprise of the doctors, the only group that did not diminish their cardiac risk was the one which not consumed alcohol, while individuals that included gin in their diet improved, although less than those who consumed wine. So, delving into the reasons for this conclusion, it was determined that the beneficial effect that has previously been associated with polyphenols, is actually the aggregate of the beneficial effects of these polyphenols plus the ethanol, which also has the gin, and which explained why those who consumed gin also improved in their analytical. Finally, it was considered that the beneficial effects of wine are especially significant when intake is moderate (1 to 3 drinks per day), and always in the context of a varied and healthy diet. The reserve wines have a higher amount of polyphenols, and if additionally they have such a good value for money like this, how could one refuse? 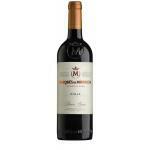 Marqués de Murrieta Reserva 2005, a classic that never fails.